All of these are super quick but will help you step up your blog game. Promise. You know, recently I’ve noticed that a lot of my blog posts are very involved. I mean, I can’t help it. I love to write and sometimes I get carried away. 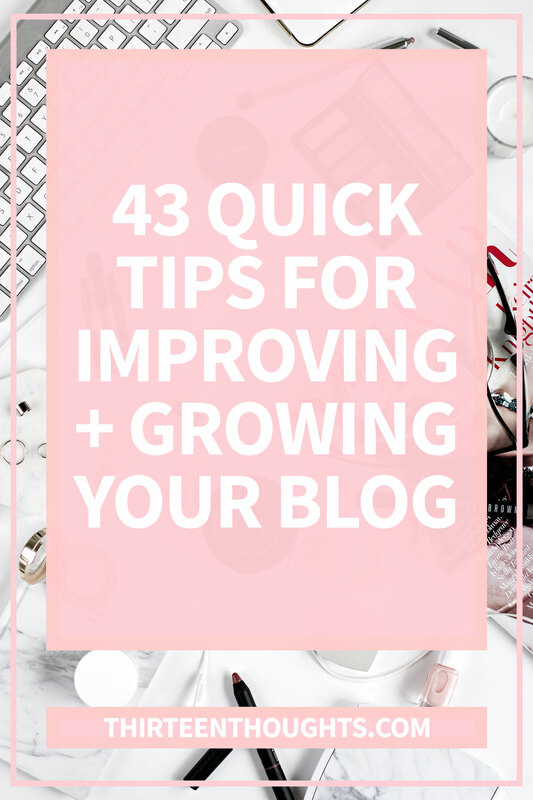 So, today’s post is going to be a little different as I’m giving you 43 Quick Tips for Your Blog. “Quick’ being the keyword here. I’m not going to lie, it was a little difficult not to elaborate with each and every single one of these as…. well….. here I am, yet again, yapping. Just read these, mmkaay? 1. Check your statistics on regular basis (but don’t become obsessed with them)- you might learn something new. 2. Update (or create) your About page. 4. Remember to resize your images so they don’t take forever to load. No one likes a slow-loading blog. 5. Promote old blog posts. 6. Update older content- change up featured images, add a Pinterest-friendly image with text. 7. Don’t be afraid to try new things or change up your content once in a while. 8. Always link to old content (where relevant) in your posts. 9. Keep a small notepad with blog post/series ideas, so you never run out of them. 10. Make your content shareable. 11. Write ideas down as soon as they come to you. 12. Make it easy for your readers to leave comments. 13. Read. Everything that you can get your hands on. It’ll help you become a better writer. 14. Step up your photography game. Good images earn more clicks and shares. 15. Network with other bloggers. 16. Only write about things you’re passionate about. Otherwise you’ll get bored very easily. 17. Don’t be afraid to let your personality shine through your writing. 18. Always be transparent with your audience. 19. Write for people, not search engines. 20. But also keep SEO in mind. 21. Make your posts easy to read. 22. Remember that your blog should be mobile-friendly. 23. Always tag brands in your social media posts- it’s great for getting noticed and connecting with brand’s PR team. 24. Quality over quantity. Always. 25. Do your best to respond to comments. 26. Review your high-traffic posts; what made them so popular? Learn from them and create more awesome content that people will love to read. 27. Remember to add Alt Text to your images. 28. Optimize your images for web. 29. Be useful- entertain, teach, inform or inspire- give your readers some kind of value. 30. Write with your reader in mind to personalize your posts. 31. Make your posts scannable- only small percentage of people actually read every single word you write. Use bullet points, paragraphs, highlight important points. 32. Don’t try to do the same thing that everyone else is doing. 34. Don’t give up and stay patient. 36. Maximize your content– don’t let it get buried! 37. Set up rich pins for your blog. 38. Take advantage of popular content- link within to newer posts, create a CTA (e.g. “for more posts like this one, click here“). 39. 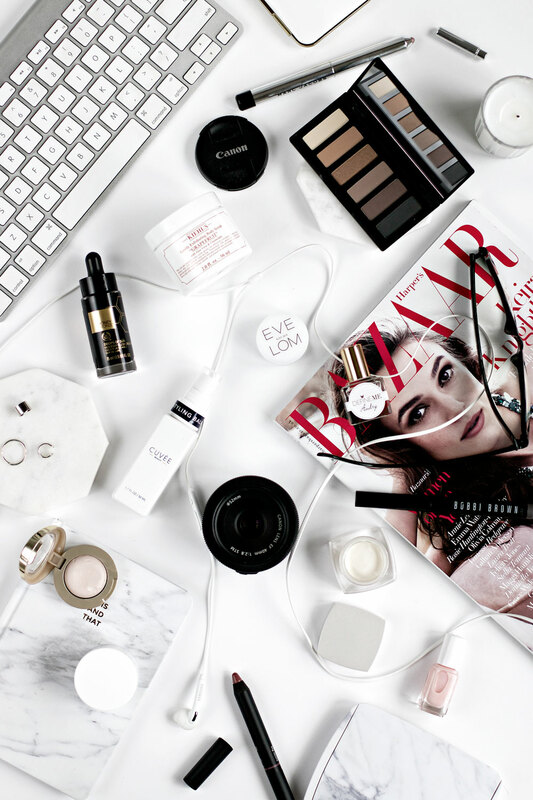 Create a media kit for your blog and don’t let anyone take advantage of you. I don’t want to see you write a 1000-word post promoting a company in exchange for a pair of free socks. 40. Stay true to yourself and don’t agree to do anything you know you’ll hate doing when collaborating with “brands” or other bloggers. 41. Respond intelligently even to unintelligent treatment (Lao Tzu)- especially when it comes to pushy e-mails from people/brands wanting to collaborate and not taking “no” for an answer. Yes, it does happen. 42. You don’t need to be an expert on anything, but if there’s something you’re not sure about, do your research. Especially if it involves any DIY/beauty treatments. 43. Have fun. To me, this is a huge part of blogging- doing something that you really enjoy doing, sharing your passions, thoughts, knowledge. Sometimes, it might feel like a chore and that’s okay too, but the “fun” part is pretty important. Over to you- what would add to this list?